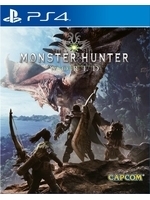 Released in January for consoles, Monter Hunter: World will hit PC (Steam) on August 9th has announced Capcom. Trailer and full specs after the jump. Finally! Looking forward to getting addicted like millions of players on consoles. Though the System Requirements are very demanding, specially since the Recommended specs are for only 1080p@30fps on High settings. Some settings can go a level further to Highest. An Action and Co-Op Multiplayer game like this is better played at 60fps, but if even a GTX 1060 can only do 30fps, requiring a GTX 1070 for 1080p@60fps at High settings is a lot. Hopefully, there will be a good compromise between Medium and High settings to achieve 1080p@60fps on a GTX 1060. "When the game launches the visuals will have parity with the console versions, but we’re considering releasing a free update after launch." Which just exacerbates the System Requirements issue. Needing a GTX 1060 to do what a base PS4 - a console released in 2013 - does without any substantial visual upgrades is just a waste of power of the newer hardware. 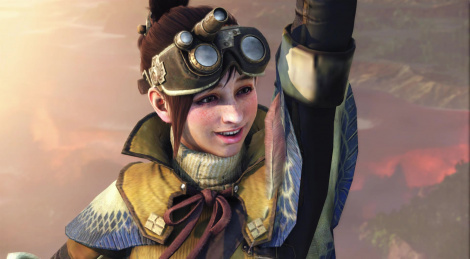 Seems like an unoptimized game, which is weird since Capcom's latest games' PC versions are very optimized - like Resident Evil 7.
apparently this franchise is at risk despite being capcoms best selling game ever. that's some broken sales estimates on their end if that's the case.